Dr Bruno Castelle, Senior Scientist at CNRS, said: "The height of waves during winter storms is the primary factor affecting dune and cliff erosion, explaining up to 80% of the shoreline variability along exposed sandy coasts. So any increases in wave heights, and greater frequency of extreme storms, are going to have a major impact on thousands of communities along the Atlantic coastlines of Western Europe. This work and our other recent studies have shown both are on the rise, meaning there is a real need to ensure the Atlantic coasts of Europe are protected against present and future storm threats." The study used a combination of weather and wave hindcasts, and actual data, to measure changes in wave height and variability on coastlines from Scotland in the north to Portugal in the south. These were then correlated against two climate indices – the North Atlantic Oscillation (NAO), which has long been known to affect climate variability in the Northern Hemisphere, and the West Europe Pressure Anomaly (WEPA), based on atmospheric pressure along the Atlantic coast of Europe. The results showed that all areas had seen an average rise in winter wave heights during this period, although it varied from 10mm/year in Scotland, to 5mm/year in France and 1mm/year in Portugal. The same scientists have previously shown that the winter storms of 2013/14 were the most energetic to hit the Atlantic coast of western Europe since records began in 1948. 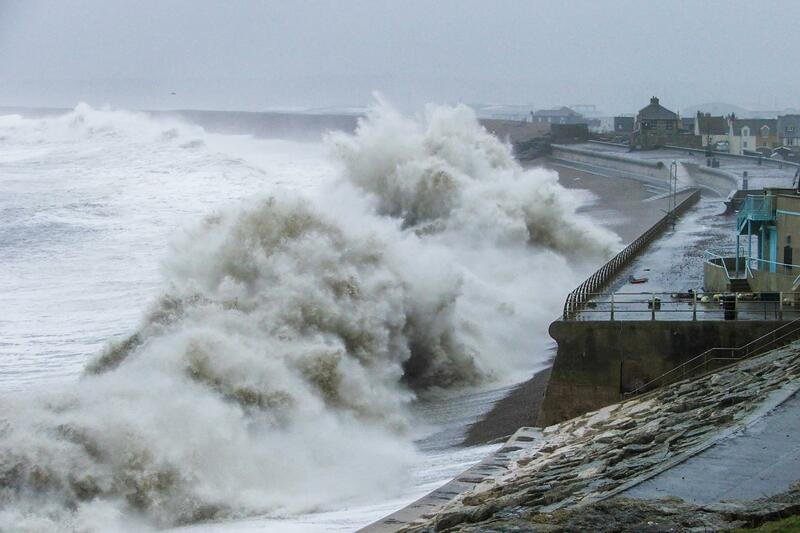 Professor Gerd Masselink, Lead of the Coastal Processes Research Group at the University of Plymouth, said: "Whether extreme winters such as that of 2013/2014 will repeat more frequently and/or further intensify in the future is a key issue for the Atlantic coast of western Europe. It is therefore important to investigate if these extreme winters are already happening with increasing regularity and intensity, and why this is happening. If human-induced climate change is responsible, we need to seriously start thinking about decreasing our vulnerability to extreme storm events and pro-actively adapt to a more energetic future wave climate.